Founded in 1998 at the Morozov Yachts boatyard in St.Petersburg Russia and then from 2005 at a subcontractor's boatyards in the Netherlands and Poland. Morozov Yachts use various materials for the building of boats and Yachts. The Morozov Yachts expertise extends to working with a wood core composite, aluminium alloy and a foam sandwich created using vacuum infusion. The designs of Morozov Yachts are prepared based on concepts by professional designers: Nikolay Kazarov, Jarek Kanios, Olivier van Meer, Gabriel Heyman and Teixido Harrold. Alexander Morozov, principal of Morozov Yachts, and Tim van Daal, who is a director of VMG Yachtbuilders BV, agreed to create a synergy partnership to promote all the models of semi-custom yachts to the marketplace. VMG Yachtbuilders will now be the exclusive builder of concept designs by Morozov Yachts. An example of this great design being the modern performance pilothouse cruiser. the Soler 38ft-55ft. This design is a neo-classic pilothouse yacht M-series starting at forty feet through to sixty feet LOA. The yachts will are built in either aluminium or GRP composite. Olivier van Meer Designer will be involved in this Yacht Building collaboration as a naval architect. Morozov Yachts will be the sales agent for Russian clients. 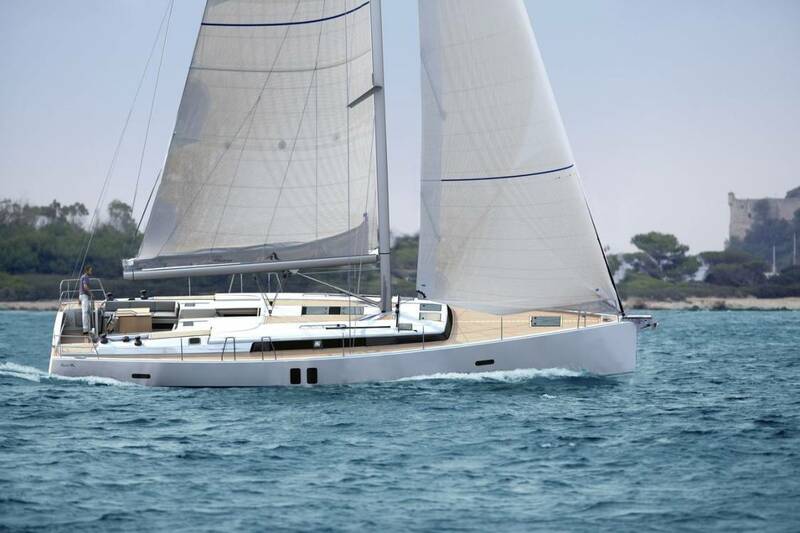 This sales exclusivity includes the new carbon racer/high-performance cruisers born of the Agile brand available from 42ft-82ft, designed by Simonis Voogd Design. VMG Yachtbuilders have just launched the first full carbon Agile 42 with great success. Morozov Yachts have more than 30 years of practical experience in transportation of oversized cargo worldwide. This experience extends to boats and yachts of all sizes by many different means of transport. Morozov Yachts specialise in transport on trucks and ships. The international transportation of oversized boats needs exceptional attention to detail, as this is a complicated and integrated process. The value of such cargoes is high therefore the personal and professional Morozov Yachts offers very important. Morozov Yachts will prepare all the necessary transport and customs documents, provide transportation cradles and slings. Morozov Yachts arrange to load and unloading anywhere in the world.